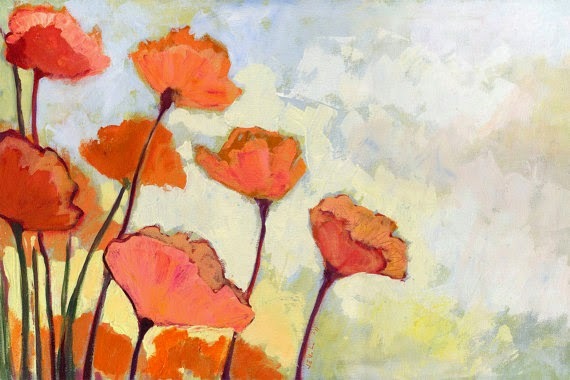 I love the color palettes of Jennifer Lommers' acrylic paintings and the way she conveys light. Her use of color and light project an ethereal and serene feeling. Just lovely! 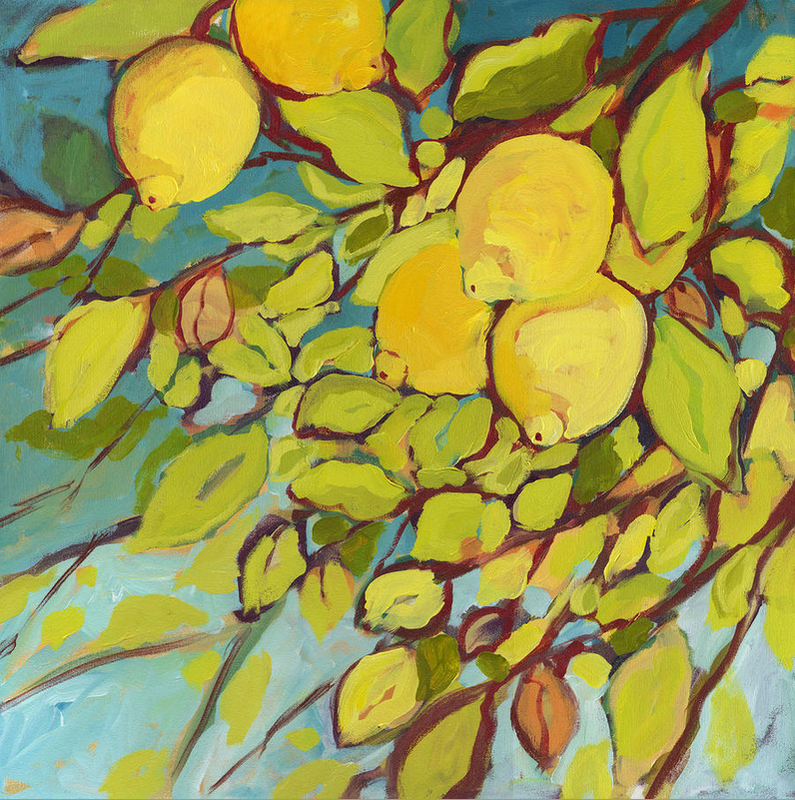 Jennifer's Four Lemons painting caught my eye on Pinterest and I had to search for more of her work. 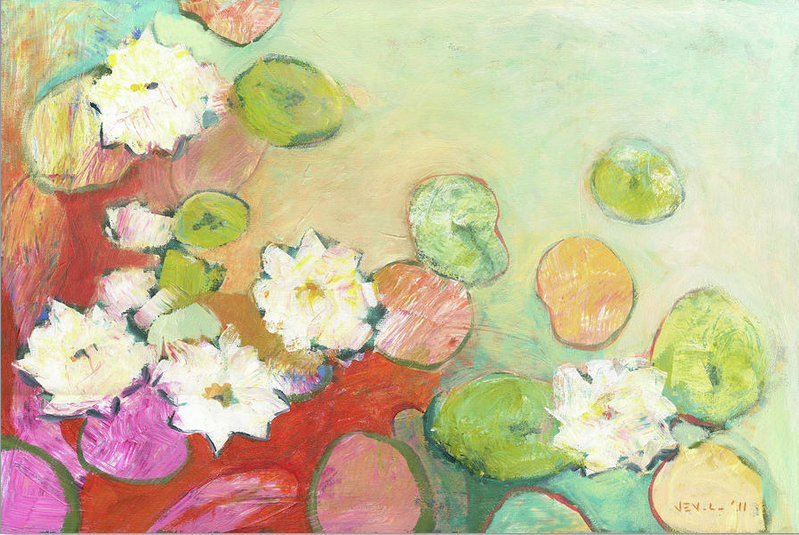 I was delighted to find her work available for sale on Etsy and Fine Art America. 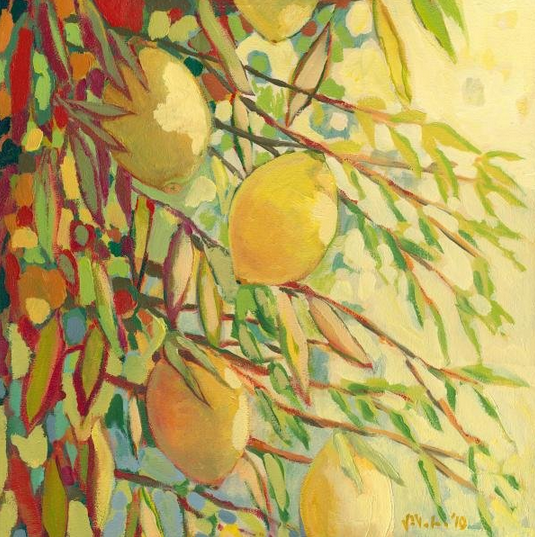 She has quite a large portfolio ... be sure to visit both sites to view her other paintings. Lovely bird and floral series! Thank you for inspiring me today Jennifer!